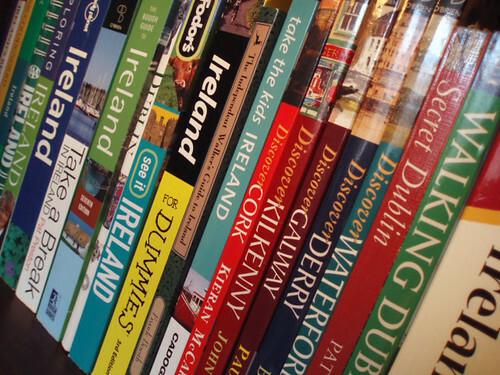 I honestly don’t want to be critical of guide books, because the one I used – Lonely Planet’s Ireland was absolutely well written and immensely helpful. Travel books, however, can be quite influential – they can dictate your experience and have you develop pre-meditated biases. I noticed my over-dependence on the guide book a couple of days into my trip, and I realized I didn’t want my experience to be dictated by somebody else’s experience altogether. That’s when I put my kindle away and took it out only when we were well & truly lost! I strongly believe itineraries, road-maps & travel books should form a skeleton of your experience. Reading what other people recommend and their experiences can create a bias, and I would want to always give myself the freedom of going where the road takes me. Bottom Line: use guidebooks as a reference point, but don’t let it dictate everything you do and everyplace you go to on your visit.